With extensive investment knowledge, Bradley DiTeresi is a well-established financial professional with a passion for music. Playing a variety of guitars, Bradley DiTeresi excels at styles like blues, jazz, and classical. 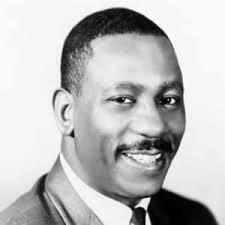 One of the foundational masters of the jazz guitar was Wes Montgomery, who followed in the footsteps of electric guitar pioneer Charlie Christian. Willing to sacrifice speed, the self-taught player gained his signature warm tone by using his thumb instead of a pick. His double jointed thumb enabled him to hit the strings on the upstrokes and downstrokes, just as with a pick. As reported in Music Radar, with practice Montgomery was able to bring the speed of his playing to the level of virtually any jazz picker, as evidenced on the solos on John Coltrane’s Impressions. Speed was never an end in itself however, as Montgomery focused on getting the mood exactly right for the song. In addition to the thumb, he would employ pull-offs, hammer-ons, and slides that mimicked the rhythmic intensity and syncopation of tightly linked horn sections.